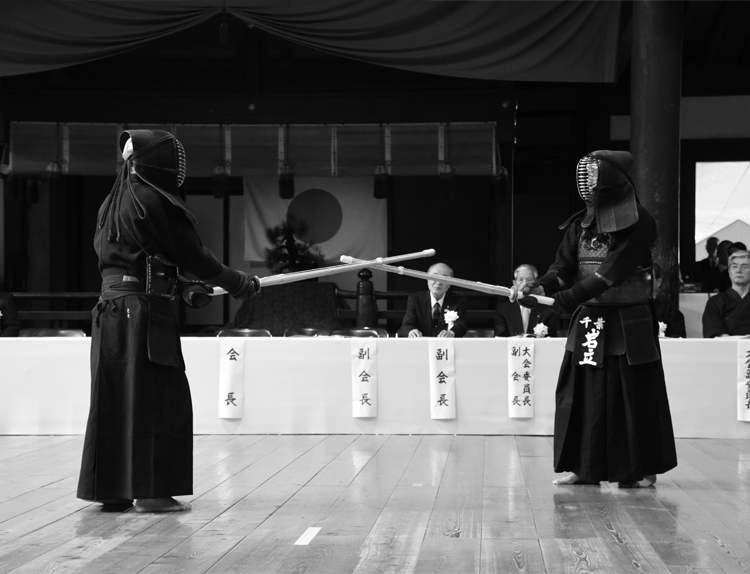 Kendo is a type of athletic contest in which practitioners wear kendogu (protective armor) and use shinai (bamboo swords) to strike each other. However, kendo is a budo (martial way) that aims to forge the mind and body of practitioners and facilitate the development of character through continued keiko (practice). Iaido is derived from methods of using the nihonto (Japanese sword) that emerged in the Muromachi period (1333–1573). The object of iaido is to learn to draw the sword in an instant to overcome an aggressor. It is a “Way” in which practitioners seek to train the mind and body through developing a spiritual appreciation of the　relationship between life and death, movement and stillness. 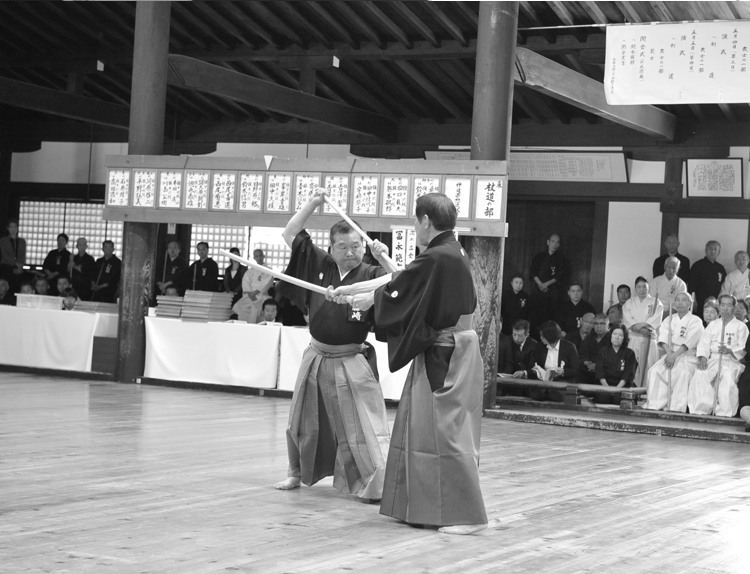 The connection to kendo is very close, and it is said that iaido and kendo are two sides of the same coin. 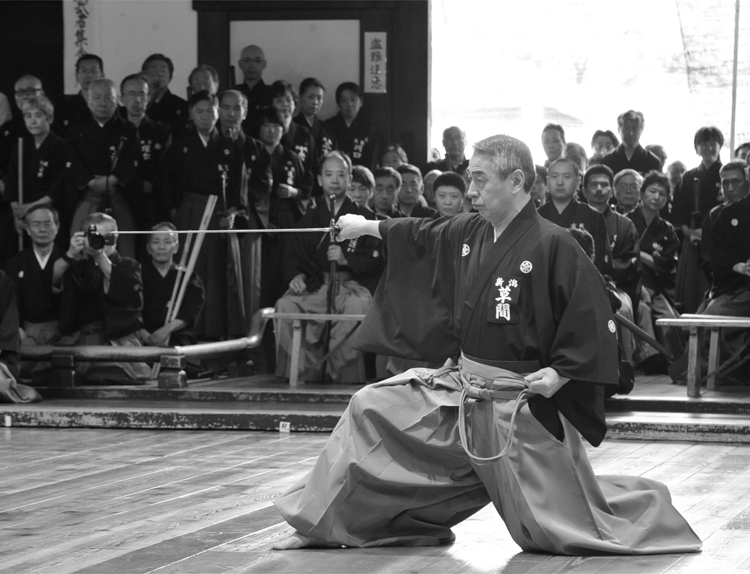 Jodo is an art in which a practitioner wields a 128cm long and 2.4cm diameter jo (staff). More than just for attacking, the jo is used to control the opponent in response to their movements. The origins of jodo are in the Shinto Muso-ryu style of jo which was founded by Muso Gonnosuke at the beginning of the 17th century. In a jodo match, two pairs of competitors perform a pre-determined set of techniques with each competitor alternating between the roles of Uchi and Shi. The referees decide the winning pair by assessing criteria such as fullness of spirit, correct posture, precise striking with appropriate power, judgment of interval and timing, and etiquette.